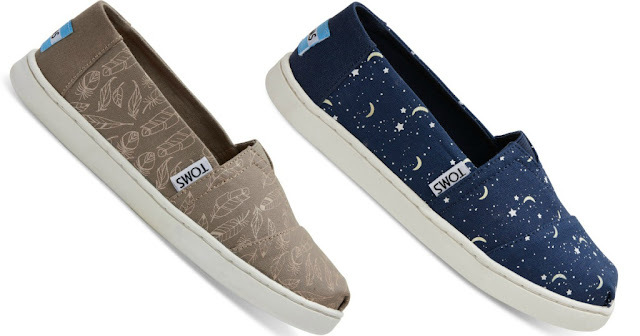 Through March 4th, hop on over to TOMS.com where you can save an additional 20% off sale prices when you use promo code BYEWINTER at checkout! Plus, all kids' shoes ship for FREE – no promo code needed! Even sweeter, Passport Reward Members (free to join) can save 25% off instead of 20% when you use promo code BYEWINTER at checkout. Shipping is free with any purchase of kids' shoes, otherwise shipping is free on orders over $64.